The event will be in English and is accessible with a valid reservation due to availability of limited seats. With his current exhibition When the Twins were still beautiful at Foam, Thomas Kuijpers traces the iconic image of the Twin Towers within popular visual culture. On 29 January at 19.00 Foam presents Windows on the world: a conversation with artist Thomas Kuijpers,in the context of his exhibition in Foam 3h. 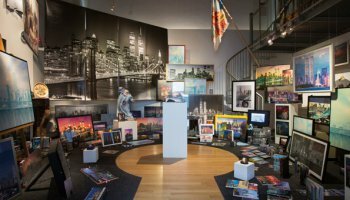 Presenting a wide collection of pre-9/11 memorabilia, including tourist photos, puzzles, socks, books, film excerpts, wallpaper and even a bathing suit, he displays an archive of images that allows us to look at a different time, before the disaster took place. Kuijpers’ artistic practice is all about the development, impact, and consequences of imaging and representation. 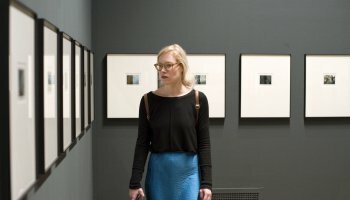 The event will explore the affect of Kuijpers’ often controversial works on the viewer, the power of the visual within our media landscape and the role of images to construct narratives and shift paradigms. 'Windows on the world' was the name of the restaurant at the top of the Twin Towers, yet simultaneously refers to the process with which images frame our vision on events. The exhibition When the Twins were still beautiful is on view at Foam 3h from 18 December 2015 to 31 January 2016.